Depart Toronto to Lima - Arrive early morning and transfer to the hotel. Overnight at Lima hotel. A late morning city tour is included followed by free time, for a little shoe shopping or a sandwich and churro stop at Manolo’s perhaps? Or the adventurous can try the local delicacy of ceviche along the seaside for lunch. Overnight Lima Hotel Monte Real (Breakfast included). Lima to Cuzco - Transfer to airport for flight to Cuzco. You will be met by your local guide and transferred to hotel, free time in afternoon to explore Cuzco. Overnight Hotel in Cuzco. (Breakfast included). Inti Raymi Festival - We are up early to head to the Quorikancha temple to get a prime spot to watch the ceremony and the procession leaving the temple. We then join the crowds following them up Avenida Del Sol to the main square. We will grab a prime spot on “our corner” to watch the ceremonies in the main square. We will then transfer to the Saqsaywaman fortress, head into the bleachers, enjoy a boxed lunch and watch the yearly Festival of the Sun celebrations. Farewell dinner and Overnight Hotel Cuzco (Breakfast and Lunch included). Sacred Valley / Ollantaytambo - Today we travel through the Sacred Valley, including Pisac and the picturesque town and Inca ruins of Ollantaytambo. We will learn how to do some traditional weaving, visit the Inca bar for some cheecha and Sapo and pick our cuy for lunch on the trail. Overnight Hotel Tika Wasi, La Convencion Calle, Ollantaytambo (Breakfast included). Inca Trail Hike - Begin your once in a lifetime journey on the ancient trail of the Incas with a morning trip to kilometer 82 across the Urubamba River Bridge and the start our walk in the very footsteps of the Incas. We travel along the winding path that skirts the river, offering views of the Vilcanota mountain range. Our route journeys through the narrow Cusishaca valley and later we’ll reach the indigenous community of Huayllabamba. Our local crew of porters, cook, and guide look after us well for the duration of the hike. Porters carry the majority of the gear for the hike, so those passengers doing the hike only need carry a small daypack for their daily essentials. We camp at Wayllabamba. Approx. walking time 5 hours (Breakfast, Lunch and Dinner included). Hike On the second day we climb the long steep path to Warmiwañusca, or Dead Woman’s Pass. Don’t be put off by the name – with your guide’s encouragement you’ll make it to the top and enjoy the fantastic view that awaits you! At 4215m (13769 ft) above sea level, this pass is the highest point of the trek. The second pass of the hike is Runcuracay (3998m or 13113 ft) where on clear days, we enjoy superb views of the snow-capped Cordillera Vilcabamba. Tonight we camp at Pacaymayo. Approx. walking time 7 hours (Breakfast, Lunch, Snacks and Dinner included). Hike - Today the trail goes through some beautiful cloud forest on a climb which is steeper than Dead Woman’s Pass but shorter (1 ½ hours), you will walk through a causeway and a tunnel, both original Inca constructions. The highest point of the third pass is at 3700m (12136 ft). On clear days you are rewarded for all this work with beautiful views of the Urubamba Valley below. Soon you reach the serene ruins of Phuyupatamarca, or the ‘Town above the Clouds’, at 3650 m (11972 ft) above sea level. We camp for the final night Close to Wiñay Wayna (Forever Young) ruins, a grandiose terraced hillside site, with panoramic views of the valley below and just a short hike from Machu Picchu. Approx. walking time 8 – 9 hours (Breakfast, Lunch, Snacks and Dinner included). Inca Trail to Machu Picchu - the final day we climb the steps to Intipunku, the 'Sun Gate', and get our first view of Machu Picchu. There is no way to describe the feeling of the first views of Machu Picchu, as the mist rises off the mountains early in the morning and the famous ruin appears in front of you. It may be called the Sun Gate but bear in mind we are in the cloud forest and sometimes “Cloud Gate” would be a more suitable name. The morning is dedicated to exploring the extraordinary site of Machu Picchu, where your guide will be on hand to explain and give you an insight into the life of the Incas at Machu Picchu. Approx. walking time 2 hours. We will enjoy a tour of the famous Inca ruins, free time in Machu Picchu and Aguas Calientes before we head back by train and bus to Cuzco later in the day. Overnight Hotel Cuzco Hostal Pension Alemana Calle (Breakfast and Snacks included). Free morning to relax and explore the beautiful city of Cuzco after all your hard work. 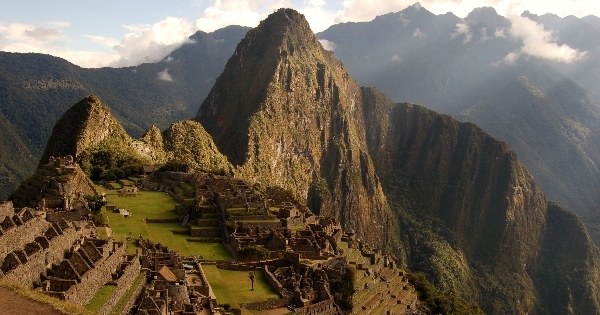 Tour the museums or cathedrals and visit some of the nearby Incan sites. Get a massage or just sleep in and wander down to Jack’s for a late breakfast. Later meet in the main square for a typically large Cuzquenian lunch to sample many of the local delicacies. Overnight Hotel Cuzco (Breakfast and Lunch included). Cuzco to Lima - Today we have the morning at leisure to explore Cuzco and do a little last minute shopping. Then we say good bye and head to the airport for our afternoon flight to Lima and connection on to Toronto (Breakfast included). Lima to Toronto - Early morning departure to Toronto and arrive home in the afternoon. Extend your stay with a Puno, Lake Titicaca, Uros Floating Islands and Amantani Island home stay (enquire for pricing and itinerary). "My husband and I loved every minute of our adventure trip to Peru. Our itinerary offered a taste of the big city of Lima to the history and architecture of Cusco and the unforgettable trek along the Inca Trail to Machu Picchu. Corinne escorted our group and was on top of every detail. The Inti Raymi festival after the trek was the icing on the cake! We can't wait for our next Bucket List Adventure!"